Small is beautiful, especially when your business operates on a tight budget or when you need to be constantly on the move. 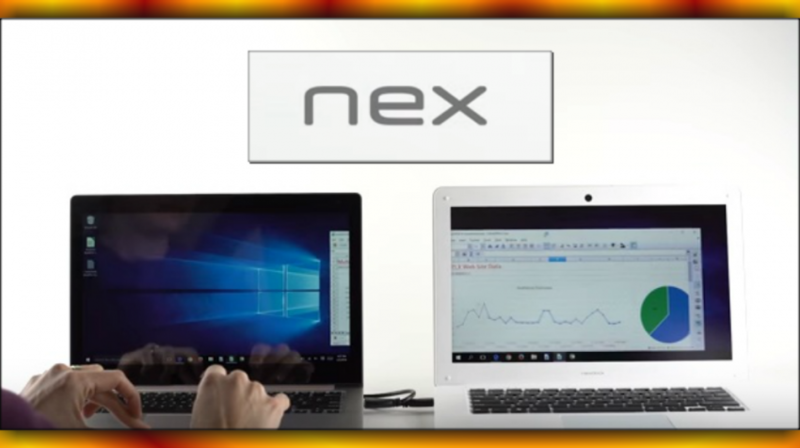 Nex Computer’s new 14-inch monitor with a built-in battery and Bluetooth keyboard transforms smartphones, tablets, mini PCs and more into a laptop addressing small businesses’ need for smaller and smarter innovation. It’s called NexDock and it comes at a fraction of the cost of a laptop. The company believes this makes it more appealing to the price-conscious small business owner. A Windows 10 smartphone combined with NexDock can replace the need for you to carry your heavy, expensive laptops during your business trips. By allowing you to simply plug into a mini HDMI-in port, the company claims NexDock will enable you to get the most out of many other devices. “NexDock is just the first step to our vision. In the future, we want to design docks with better integrated mini PCs,” says Emre Kosmaz, Founder and CEO of Nex Computer. NexDock can be used as a secondary portable monitor if you need multi-screen workstations. The dock can also be used with Android devices. In the past few years, the tech industry has introduced several new solutions to address the unmet need for more portable and easy to use devices. A variety of cloud computers, for instance, combine some of the functionality of desktops when connected to a display. Other innovations worth mentioning are miniature computers like the Intel Compute Stick . It can tun your TV and other devices into PCs. For small businesses, compact computing solutions help in several ways. Lower cost options can be functional yet don’t burn through your budget like more expensive options. But they also boost productivity, improve mobility and are easy of use. Be mobile: Carry it wherever you go. With its built-in battery and Bluetooth keyboard that lasts days for all devices, you can take it with you everywhere. Experience versatility: NexDock segregates processors and operating system from the display to help you experience the versatility of the different operating systems. Boost productivity: The full-screen keyboard and screen give you decent productivity even though you are using small devices. The company has already raised more than $68,000 on Indiegogo. And early birds can get their hands on the device for $79 or $99 respectively at NexDock. The company will continue taking pre-orders for $119 until the end of the campaign. But with such inexpensive options as compute sticks and cloud computers already on the market, the question is how or if they will stand out.